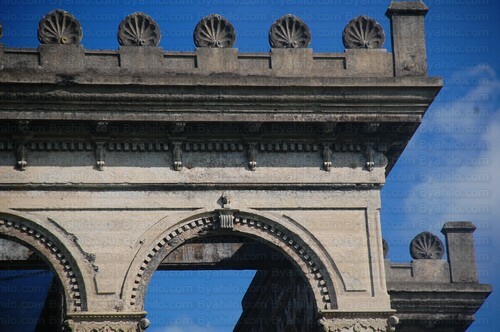 Would you know where this magnificent structure is located? Do we hear Rome? Lisbon? Madrid? Nope. 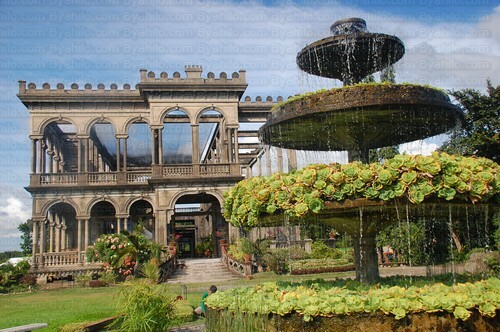 And would you believe that this palatial residence, or what’s left of it, can be found in Talisay City, Negros Occidental? Read his post below about The Ruins and we enjoin you to visit his blog and be dazzled by such a wonderful country called the Philippines. 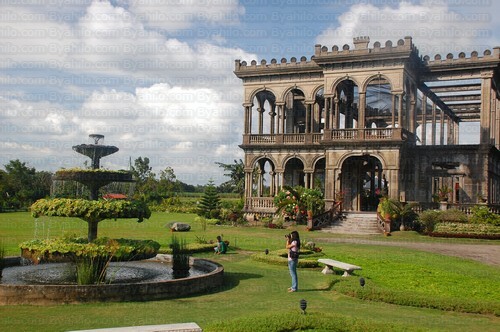 The Ruins in Talisay is one of the newer attractions in this city. 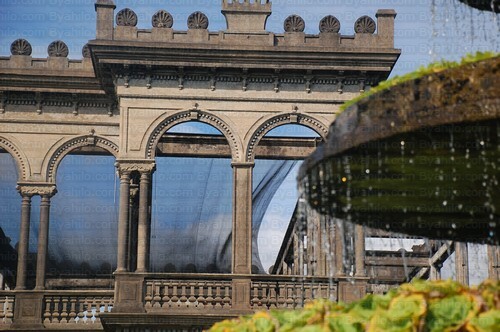 If I am not mistaken this marvelous mansion was only opened to the public last year. This is not my first time to visit the Ruins though. But it’s only today that I discovered that there are actually two routes going to the ruins. When I first went there last October, we made our right turn leading to the ruins in talisay City. There is a large sign bard which instructs you to make a right turn if you wish to go there. But nobody told us that this road is unpaved. Yup, it was a bumpy ride, and some areas even have potholes that made me think that we could just be stuck anytime soon. Thought the road is not really that good, the view is spectacular. Both sides of the road are sugarcane fields, and lucky you if you get to see some sacadas (sugarcane farmers) cut some canes and load them to a truck or during planting season, you get to see some of them plow the fields with their hardworking carabao. 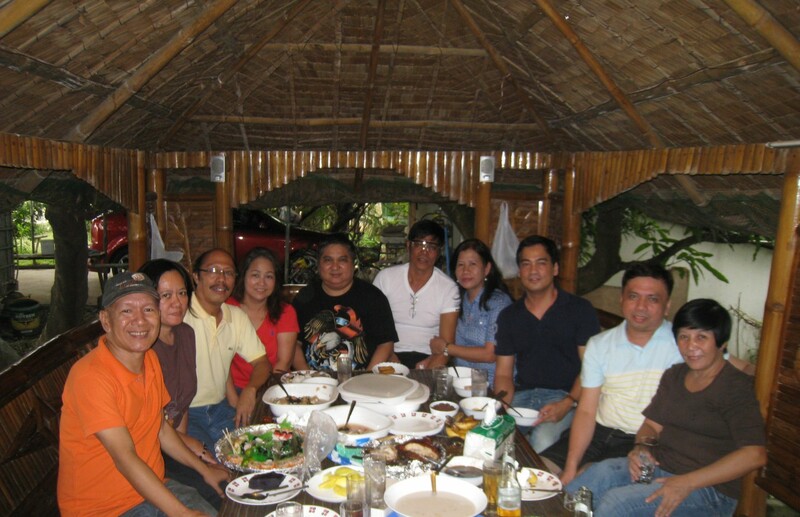 Last week, Lagawan and I together with our high school classmate Shang, went back to The Ruins. But this time we used another route. Instead of making the right turn in Talisay City, we made the quick turn in Bata, on northern outskirts of Bacolod. The road is much better compared to the one we used last October. Instead of making the right turn in Talisay City, we made the quick turn in Bata, on northern outskirts of Bacolod. The road is much better compared to the one we used last October. It was paved and for first timers, you won’t get lost since large sign boards where to make turns are posted. The only downside of the Bata route is that you will be passing by a residential area, thus, you won’t get to experience a good sugarcane plantation view. 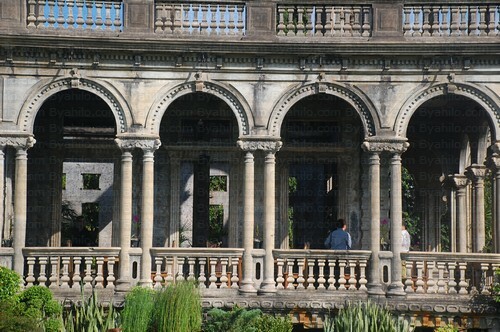 The Ruins in Talisay features a Neo-Romanesque columns a design which is very prevalent in Europe. 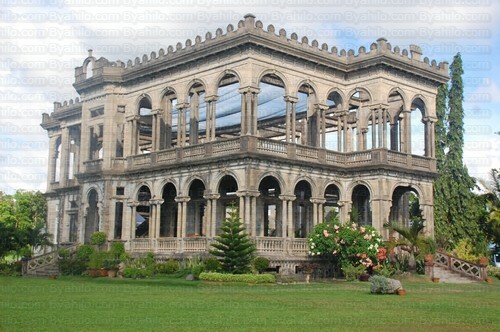 It was built in the1900’s by sugar baron Don Mariano Ledesma Lacson for his unmarried children and his wife, Maria Braga Lacson, a Portuguese from the island of Macau. When war broke out, the entire family left the mansion. It was then burned by the American forces during the war era to prevent the Japanese soldiers from using the mansion as its headquarters. Although what stands today are just remnants of a glorious past of this family, locals and tourists alike are sill awed at the beauty of the mansion. amazing, indeed. on the other hand, this structure serves as a living testimony to the wide gap between the rich and the poor in the province of negros. the philippines is one beautiful country that is so full of contradictions. The Site Team: Well said, Peter. Thanks for dropping by.